Nothing saps creativity more than a humdrum work space, so Vector Architects added three floors of living walls to the Taoyuanju office building in Tianjin, China in order to spruce it up. 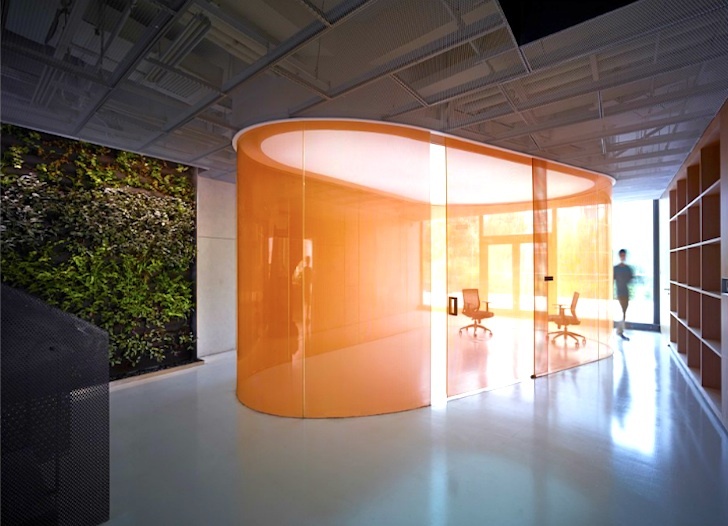 Combined with a continuous mesh-enclosed stairway, cutouts in the wall, and an oval office wrapped in orange glass, these indoor vertical gardens give employees a new source of fresh air throughout the day. 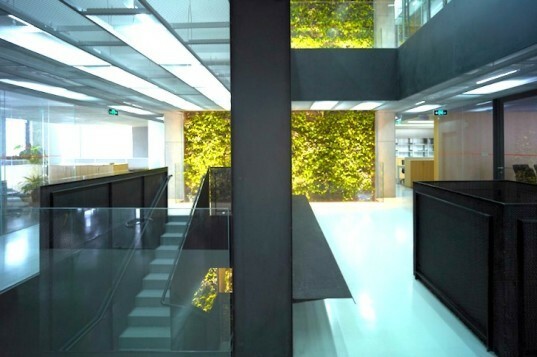 The three separate vertical gardens on each floor of the Taoyuanju office building are equipped with a self-irrigating system that makes it very easy to maintain. Not only do they add a lot of character and life to the offices, but they also drastically improve indoor air quality. And in China, this is worth its weight in gold. Other features also add to the renovation’s eco-merits. A skylight on the top floor of the three-story office building pumps natural light all the way down to the building’s lobby, while a mesh staircase reinvents the interior geometry without any significant structural changes. This in turn mitigates the need to waste a pile of money or natural resources to build anew.